Writers Jamie, Jeanne and my family go on a food tour!!! 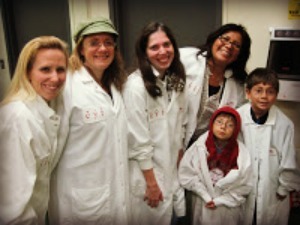 We were all invited to a very special food factory, “Green Chopsticks" which is headquartered in Alhambra, CA. 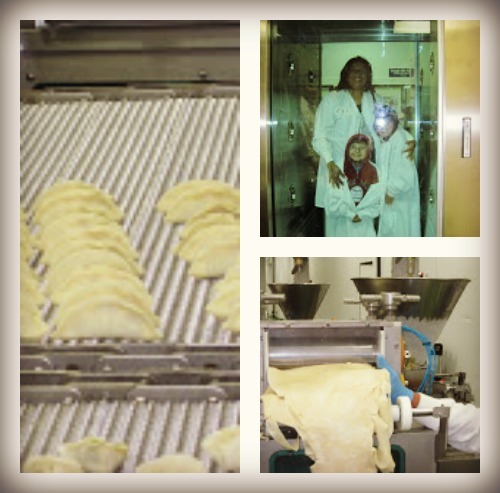 We toured their kitchen where delicious dumplings are made in a state of the art facility. In order to go inside the dumpling kitchen, we first had gone through a total body sanitizing process. We washed our hands, put on our white sanitary coats, hair hats and went through an air closet which removed any unwanted particles on our body. We then stepped into a cleaning agent to cleanse our shoes and off we went. We were sanitized from top to bottom in a matter of minutes. Walking into the facility, the temperature was North Pole cold. Inside, the floor was specially made for this state of the art kitchen to maintain a clean and safe environment. We were all very impressed with how they cared about their food handling standards. Image a place that is completely sealed with little magical elves that come and clean every minute of the day. It was the cleanest place any of us had ever experienced. We soon made it to the start of the assembly line to see how they make kitchen magic. The dumpling process was broken up in teams. There was the dough making process, the fresh vegetable process, the fresh meat process, the final assembly and the cooking / freezing process bringing all the ingredients together. The whole operation was incredible to watch. The kids were shocked to see the entire process. We watched how workers mixed the dough. It was then placed in a roll and was set in a heavy duty machine to cut the outside of dumpling. The vegetable processing area, the vegetables consisted of green cabbage, onions, garlic and leek. They were washed, cut and mixed with other ingredients such as soy sauce, sesame oil, evaporated cane juice, salt, oyster sauce and black pepper. Next, we saw the meat processing area. The meat was fresh and cut in the kitchen into tiny pieces. Nothing was pre-cut or frozen and only fresh ingredients went into the dumplings. After watching the dumplings being assembled, they were placed on a special machine where they were lined up and steamed. 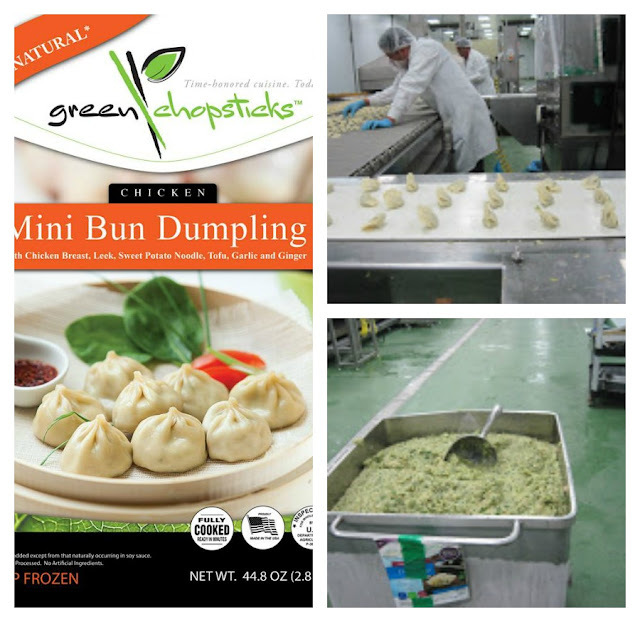 We sampled the finished product as the dumplings marched on to be prepared for freezing and packaging. The whole process taught us the care that went into preparing these delicious dumplings. Green Chopsticks dumplings can be bought at Gourmet Markets such as Gelson's Market, Bristol Farms, Wholesome Choice and Costco Roadshows. Dumplings marching to the store near you! What if your neighbor was hungry and suffering in silence? What if he was only 10 years old. Hunger Hits Home is a documentary about our country and the kids who go hungry every day and every night. There is an estimated 1 in 5 kids who goes hungry everyday. Food Network and Share Out Strength's No Kid Hungry have partnered to end childhood hunger by 2015. This April 14th on the Food Network Channel a very important documentary will air "Hunger Hits Home". Narrated by actor Jeff Bridges, who is the national spokesman for Share Our Strength 's No Kid Hungry Campaign. The documentary will show you who is going hungry and how they got there. The families in the documentary are not people holding signs on the sidewalk or living in a homeless shelter. They are families like yours and mine. They have a place to live and transportation. They have jobs and live in major cities. They are loving parents with the best intentions for their kids. But making hard decisions like buying fresh groceries is part of daily life, because of the current US economy. There are solutions to this horrible problem. Watch the documentary on April 14th on the Food Network Channel. Check your local listings to find the times. Watch and learn how you can make a difference! Our Children. Our Problem. Our Solution. Repost from Food Network Blog "Hunger Hits Home". Our friends are talking about hunger today, too. See what they have to say and tell us what you’re doing in the fight against hunger on Twitter by using the hashtag #pullupachair. Disclaimer: I did not receive any compensated for writing and sharing this wonderful event. I did have the pleasure of watching the documentary and forming my own opinions. All of my expressed opinions are all my own and not Food Network or Share Our Strength. Please watch and make a difference. My blogger friend Jamie from Minnesota Girl in LA blog awarded me the "Liebster Award. 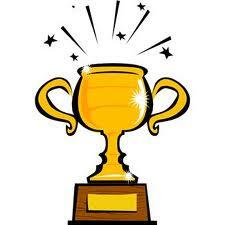 This award is bestowed on blogs who have great value and deserve more attention. I have never won a blogger award before, so of course I researched it (I am a geek). I found that Liebster is German for dearest, beloved or favorite. Being someones favorite is something that makes me smile. 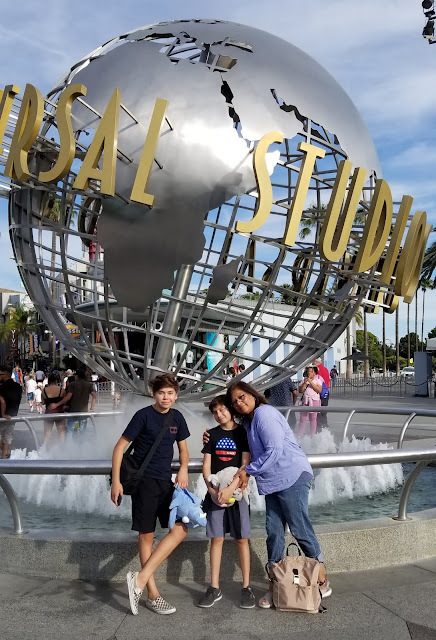 I write to inspire others to get out and experience life with family. Combining travel with education is my passion. Not everyone can learn through reading only, therefore learning through hands on experience is key to finding your passion. 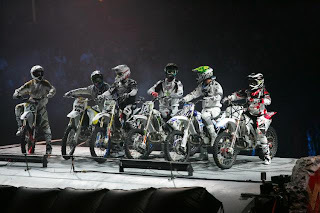 I hope that you will take a moment and read some of these amazing Blogs. As always I wish everyone peace and friendship. 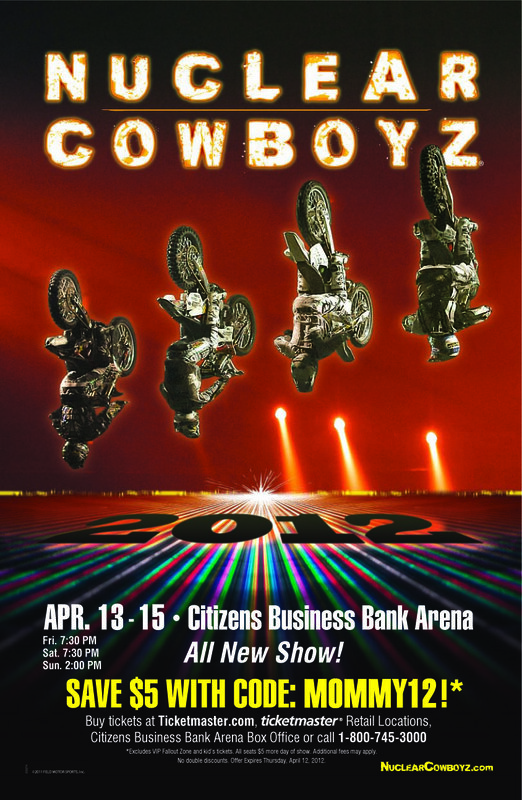 Do not miss this great opportunity to see the Nuclear Cowboyz, otherwise you will have to travel outside the USA to see them. They are that popular!!! 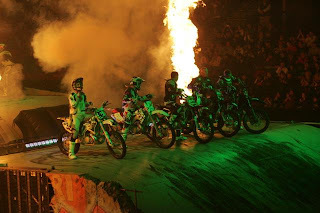 Experience Nuclear Cowboyz with a VIP Fallout Zone ticket. 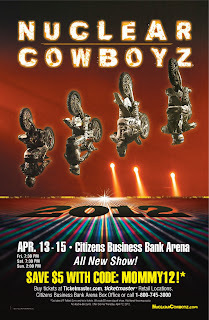 A VERY limited number of tickets are set aside for the BIGGEST Nuclear Cowboyz fans. Each VIP Fallout Zone ticket includes: Premium seating, admission to a private meet & greet with the stars of Nuclear Cowboyz where you will be presented with a commemorative VIP Fallout Zone credential and poster. 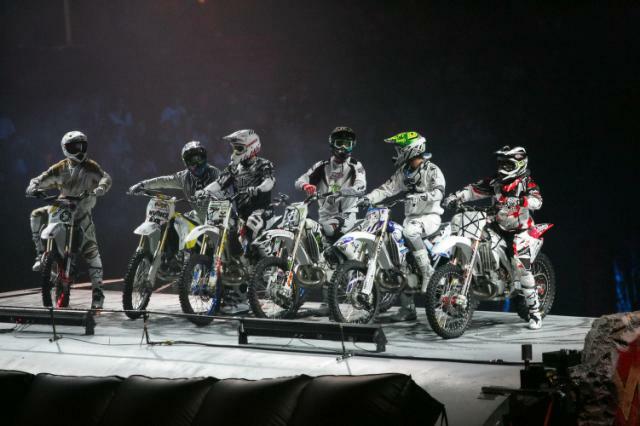 ONLY VIP Fallout Zone ticket holders will be able to take part in the meet & greet. It’s the ultimate VIP experience. Don’t wait as these seats are extremely limited and will go fast. Disclosure: I was not paid to tell others about this event. I did receive complimentary tickets to attend the show. I will be attending, because my family has demanded I do. All opinions are my own and I look forward to making memories with my family at this popular event. I hope to see you there!!! Field Trip Alert - L.A. County Fair is having sign-ups for their Field Trip program. The field trips takes place in September. The FairKids Field Trips is a California State standards-based field trip. It is for preschool through 8th grade students, public, private and home schools, and will take place Wednesday through Friday, Sept. 5 - 28, and parking and admission are absolutely free of charge. The field trip starts at 9 a.m. and does not open to the public until 12 p.m. This gives FairKids 3 hours on grounds without the public. Parking and admission is at Gate 9 off of White Ave.
Sign up for the kids competition and get in the spirit of the fair.